To run the SQL file, you can either open SQL Management Studio first or select the SQL File as long as you are running from the SQL Server. 1. Select the applicable Server Name and click the Connect button. 2. 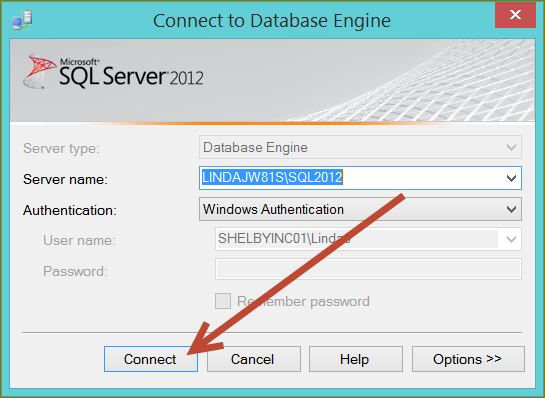 Once connection is made to the SQL Server, select ArenaDB from the database drop-down. 3. Verify the statement ran successfully. 4. Proceed with RDL file upload. The report URL should be the Report Server URL Organization Setting. 1. 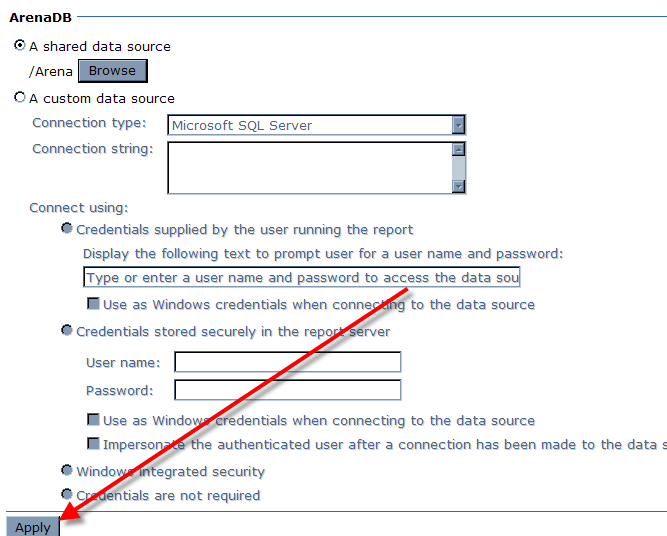 Go to Arena Report Manager (e.g., http://<server>/Reportserver_SQL2012). 2. 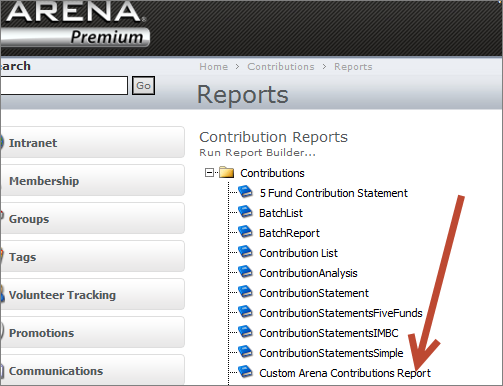 Select the Arena Reports folder. 3. Select the folder to which you want to add the report. Be sure the folder you select is a folder available in Arena. We select the contributions folder in this example. 4. Click the Upload File button from the toolbar. 5. Click the Browse button to select the RDL file to upload. 6. Select the RDL file to upload. 7. Customize the name, if desired. Consider adding a unique identifier to the name to differentiate the custom report from core reports. 9. 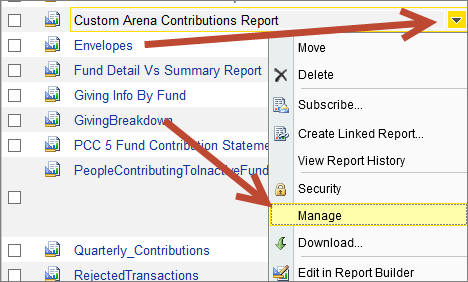 Click the Manage option from the report drop-down list. 10. From the Properties page, you can edit the name of the report and add a description for the report. For non-core (provided by Shelby Systems), you might consider adding comments about the origination of the report and possibly the Arena version it was written on. 11. Select the Data Sources option from the Management page. 12. 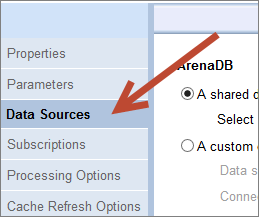 Click the Browse button to locate and select the Arena DB. 13. 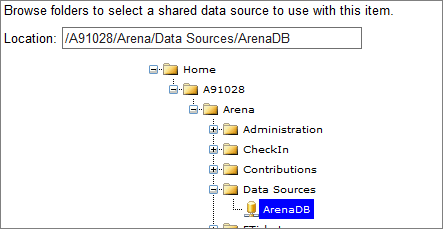 Expand the folder tree to display Data Sources and select Arena DB. 14. Click the OK button. 15. Click the Apply button. 16. From the breadcrumb, select the folder to which you uploaded the report. 17. Select the report to verify it runs correctly. 18. The report is now available in Arena in the designated report folder.